LONDON – YourWelcome, the leading provider of smart tablet devices for holiday let properties, and Visit South Devon, the official marketing organisation for the area today announced a new strategic partnership. 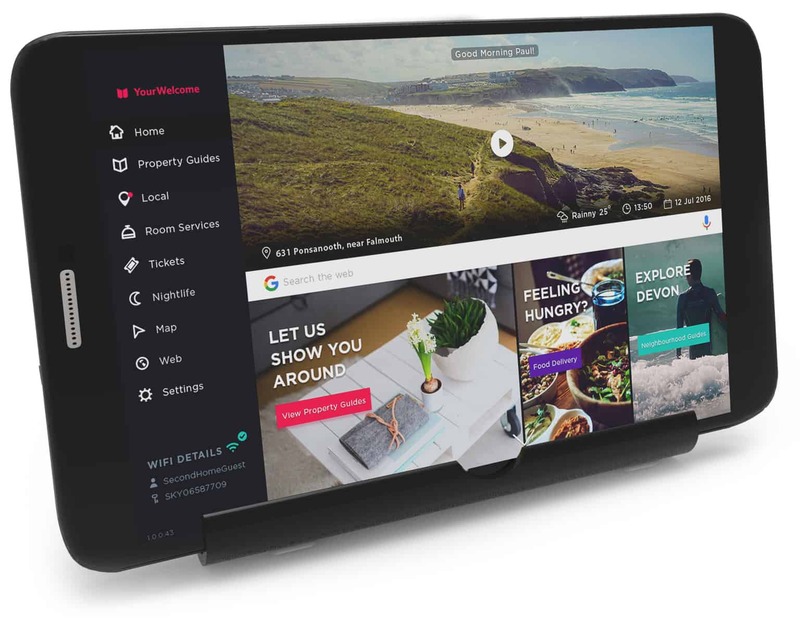 Combining local area expertise provided by Visit South Devon with YourWelcome’s tablet devices, the partnership will provide holiday-let landlords with an unrivalled solution for guests that want to explore the local area. Holiday let owners that sign up to YourWelcome will be sent a custom tablet device that is left in their properties for guests to use. The tablets will provide guests with up-to-date information about the South Devon area, alongside bespoke guides to the property they are staying in and local on-demand services. Each tablet that is set up within the region will automatically be filled with content highlighting attractions and activities from around the region. Visitors can see all of the recommended places on a map, get directions and even book a taxi – all from the tablet. The announcement took place at Exeter Race Course, during the launch of Visit South Devon’s new brand. “Holidaymakers are inundated with information from apps and websites that claim to have the best local information – but it is difficult to determine the authenticity of the comments and advice. “We are excited to work with Visit South Devon to ensure that guests to the region have access to up-to-date information, from a trusted source. This will add material benefit to the guest during their stay. “Devon attracts hundreds of thousands of visitors every year, and Visit South Devon was set up to help them find the best local accommodation & attractions that the region has to offer. Welcome your guests to the South West by offering a free-to-use smart tablet in your Holiday Let – find out more about the partnership between YourWelcome and Visit South Devon.